The illustrated Victorinox Knife is the Victorinox Manager Knife with Red handle. The components of this Swiss Army Knife include a blade, scissors, nail file with screwdriver tip, bottle opener with magnetic Phillips screwdriver and wire stripper, retractable ball point pen, tweezers and key ring. 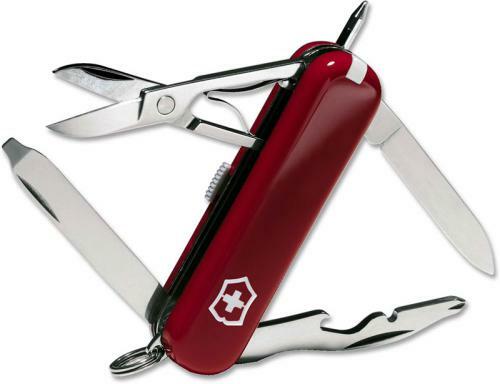 The Victorinox Manager Knife with Red handle has a closed length of 2 1/4".